Mariella Duvall does not take orders. She gives them. A former model, she now works behind the camera as a photographer and likes to be in charge. Unfortunately, her latest dream project may be derailed by Ian Cooper. The brash, arrogant, although handsome, man who hired her. Mariella wants nothing to do with a man who tries to keep her in line. 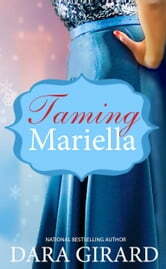 For fans of "The Glass Slipper Project" ready to see Mariella meet her match!